Chad and PJ are INCREDIBLE! I would give them 10 stars if I could! I cannot say enough amazing things about working with Andreo Studio for our wedding. 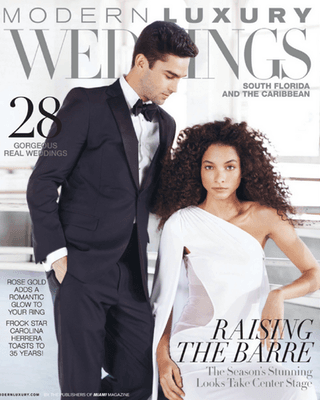 We live in New York City and planned a destination wedding down in Palm Beach, FL. From the moment I first spoke with Chad, I felt he understood exactly what my husband and I were looking for. He and PJ are so friendly and you barely know they are around, which makes for very natural emotions in the videos! They arrived early and were so prepared the day of the wedding. The video is phenomenal and has brought tears of joy to all of our family and friends as we relived our special day. Fantastic work!! Speaking to their cinematography: I had already booked a photographer who recommended Andreo Studios for cinematography. I immediately felt comfortable and at easy after speaking with PJ and decided pretty easily and quickly Andreo Studios would be the best fit for us. I am so happy I listened to my photographers suggestion. They were so friendly, caring and just down to earth. I met Chad and PJ the day of my wedding and they were just as calm, cool and collected as I thought. I felt at ease knowing they were going to capture our special moments. Chad capture the most incredible drone footage and footage of our sneak peak of the ballroom. He even gushed about how natural we looked as a couple dancing and showed us footage right then and there. It was incredible. They made it so easy and carefree. When we received our highlight video, we were brought to tears. It flowed so beautifully and yet they still were able to fit in 6-7 toasts...naturally. UNBELIEVABLE! I would work with them again in a heartbeat and would suggest anyone else to do the same. 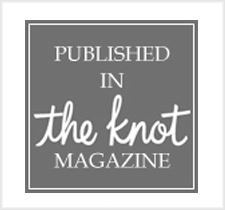 Chad and PJ were both amazing They were more than accommodating throughout the planning process and especially when it came to choosing the package that worked best for our wedding day. I would highly recommend them as their professionalism and utmost attention to detail does not go unnoticed. They go out of their way to beautifully capture your wedding. Thank you so much to the entire team! 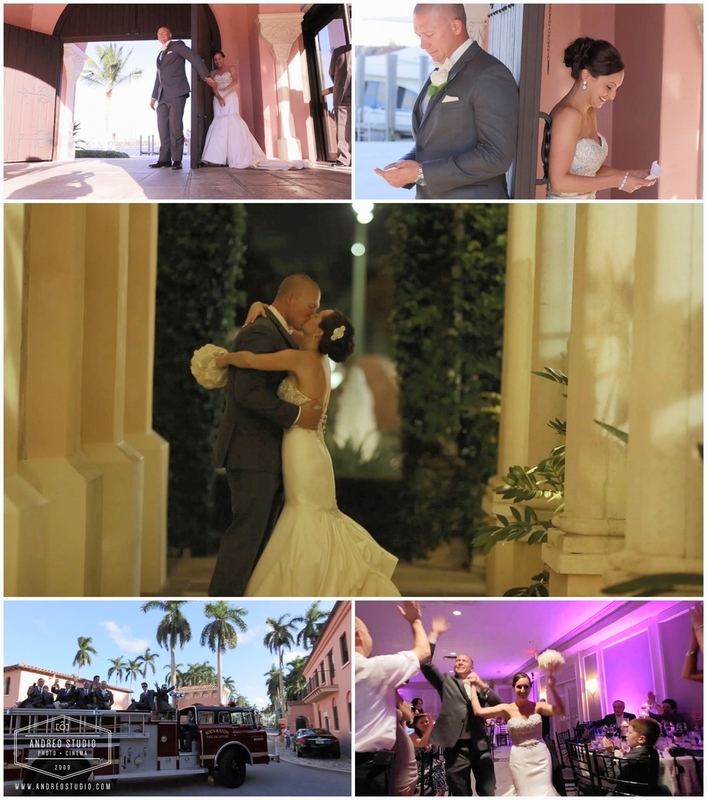 Chad and PJ are the best videographers in south Florida and have amazing talent. They did everything to accommodate us with our desires and made sure our video was perfect. Truly a great team! Andreo Studio is absolutely amazing! The owner and his entire team provided me and my husband amazing service. Their attention to detail is the best part about them, they are perfectionists which helped us relax because we knew everything would be perfect. All of their ideas and suggestions were so unique and special! They helped us with our entire wedding timeline as well from start to finish which was a huge help! We felt as though friends were shooting our wedding and not strangers. They are the best out there and will ensure your wedding video and or wedding photos will be as perfect as they would want their own! I've worked with Chad many times for fitness shoots, and I couldn't think of anyone else I'd rather have for our wedding! He was amazing and his team was professional and on time. We felt relaxed and comfortable the whole time. Not to mention his assistant who had tons of unique posing ideas for us to do! Chad and his crew exceeded our expectations during the entire time we were planning our wedding, the day of and with his one-of-a-kind final product. He is the most amazing videographer and I would recommended him to everyone with the highest honor. He captures your wedding day in such a beautiful and artistic way. His video is an amazing memory we will cherish for many years to come. BEST DECISION I MADE WAS TO HIRE HIM! Absolutely stunning work! You will not be at all disappointed. Everyone I know still tells me this is the BEST wedding video they have ever seen.. Even the ones who have seen it multiple times and compared to others. STUNNING AND TIMELESS VIDEOGRAPHER! Just watched our video again and we are sooo in love!! Chad is so talented! He got such amazing angles and video of my wedding day. Watching my video made me love my wedding day even more! I am so thankful for it. He does such an amazing job at taking video on the day too and is so easy Going! Just wanted to send a quick note to say thanks for the beautiful wedding film(s). 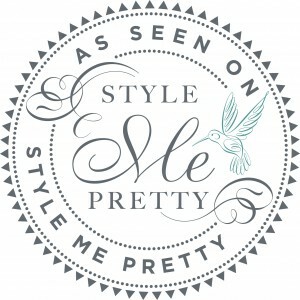 The cut you made for SMP(Style Me Pretty) is truly stunning. We’ll cherish it for a long time. We’ll be sure to recommend you to future couples! OMG Chad! I just had a chance to watch the video you had created for Shea and it’s absolutely perfect. It honestly gave me goose bumps. It’s stunning. You did an amazing job. Yay!!! Good work. AWESOME stuff with this video! Brings us back to the wedding weekend all over again! Thanks again for all of your hard work on both videos, you really did a spectacular job! It is sooooo good!!! I LOVE IT!! Thank you to Chad… I have heard that this is unlike most wedding videos people have seen, and I am so proud to be married. So sue me… I love my husband, and this was the best day (so far) of my life!! I am so happy to share it.